Step 1 using a pestle and mortar or a blender, crush popcorn until fine. Add to a bowl along with flour, chilli flakes, black sesame seeds, cracked pepper and a pinch of salt, stir to combine. Add chicken and coat in the flour mixture. Allow to sit for 5 to 10 minutes. Step 2 Meanwhile, to make the slaw, add sriracha, kewpie mayonnaise and slaw mix to a bowl and combine. Step 3 fry chicken in a pot of oil at 180°C. Fry until chicken is golden brown and crispy. 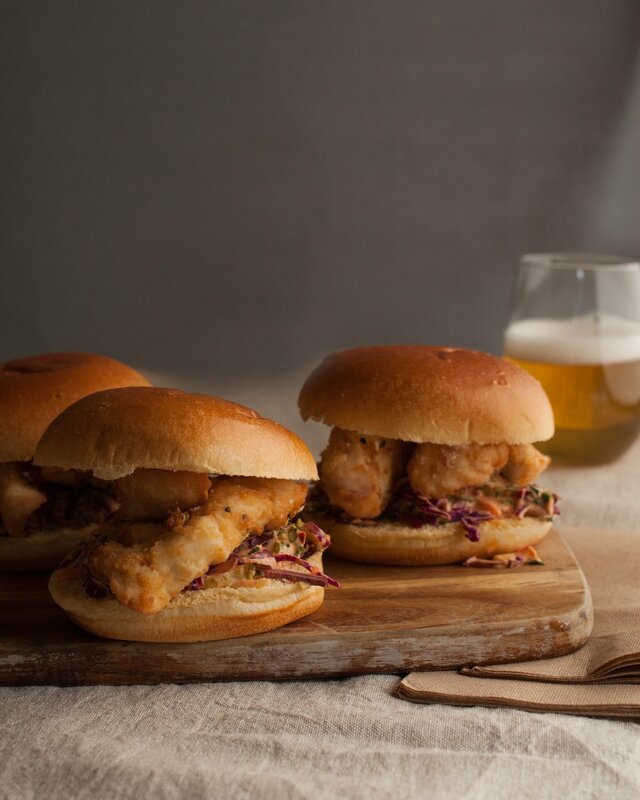 To serve, place slaw onto the bottom half of the brioche buns, top with popcorn chicken and the top half of the bun.